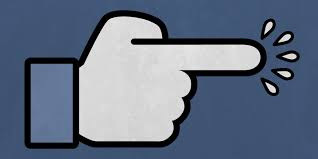 Facebook Poke Application: Poke symbols are simply small images of a hand with a finger pointing and the name of the person who sent the poke to you. If you have been poked, the image will show up on your home page. Only you can see the poke once you receive it. Depending upon your notification settings, you may also receive a notification informing you of the poke.